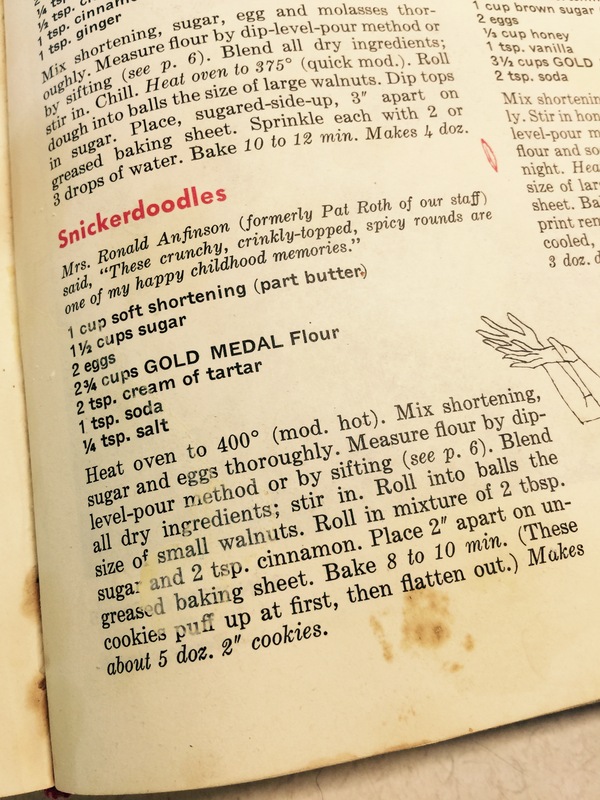 Another recipe from my old Betty Crocker’s New Picture Cook Book, it is probably much like one you have used. I made only two changes: I used all butter instead of the recommended “part” and I used decorating sugar instead of granulated for a little more sparkle and that interesting crunch the sugar crystals give. When mixing the cinnamon with decorating sugar, you will find that most of the cinnamon falls to the bottom of the dish, so you will use much more of the sugar than in a typical snickerdoodle recipe. Once your cinnamon coats each crystal, the remaining falls to the bottom. After you have coated many of your cookies, you need to add more sugar and stir it into the remaining cinnamon. I began with about 1/2 cup decorating sugar and 2 teaspoons cinnamon. Then I added another 1/4 cup of the sugar when it was depleted. I’m sure I rolled my balls of dough too large, because the recipe says it makes 5 dozen 2″ cookies, and I got 3 dozen 3-4″ cookies. I have no idea what the suggested size of a small walnut is, but I would guess mine were more like golf balls. Frankly, I like the larger cookies, because you get more of the chewy center. Preheat oven to 400°; line cookie sheets with parchment paper. Beat butter and sugar until fluffy. Beat in eggs until well combined. Slowly mix in dry ingredients until well combined. Roll the dough into balls, maybe slightly smaller than a golf ball. Tip: roll all the dough into balls before rolling in sugar-cinnamon mixture for a neater process. Stir together the decorating sugar and cinnamon until the sugar is coated with cinnamon. Roll each cookie in the sugar-cinnamon mixture and place on cookie sheets, about 2 inches apart, to allow for the cookies to spread out. Bake for about 8-10 minutes until lightly browned and crackled. Remove to cooling racks to cool. 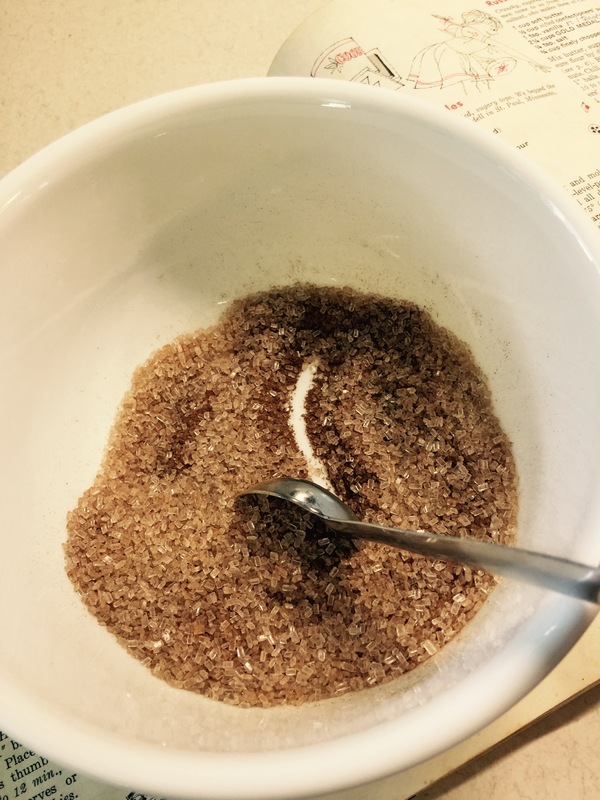 I saved my remaining sugar-cinnamon mixture to sprinkle on muffins and coffee cakes—just make sure there aren’t any little pieces of unbaked cookie dough in it.